Want to be even more flexible in how you spend your work, family and leisure time? 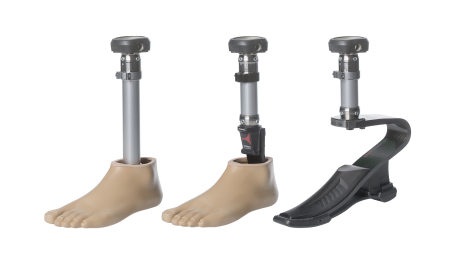 With the Quickchange adapter, you can switch between different prosthetic feet in just a few steps without changing the alignment of your prosthesis. Going running with colleagues right after work, or shopping at the supermarket at the weekend followed by a swim with the family – you’re always prepared with the Quickchange. The principle is equally simple and quick. 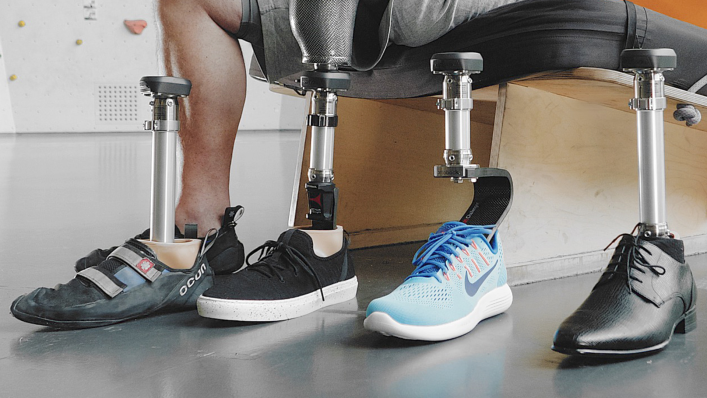 Aside from a second prosthetic foot, the only thing you need is the Quickchange: it makes switching feet a snap – at the office, in the car, or on the pitch or court. You can easily ensure that your foot has a firm, permanent hold yourself. And you’re ready to go. Magnets make it easier for you to join the desired prosthetic foot to the rest of your prosthesis. 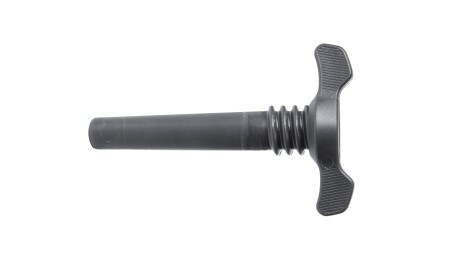 A locking bolt ensures a permanent hold until you change feet again. You tighten it by hand when changing the foot. Are you an active user who would like other prosthetic feet in addition to your everyday foot? The Quickchange lets you change feet spontaneously – for playing sports, going swimming or simply to adjust the heel height. 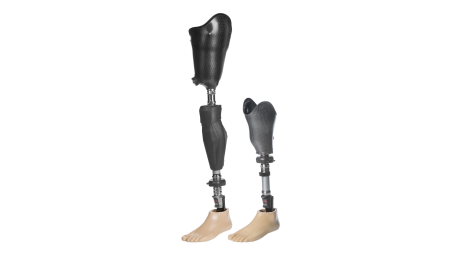 The Quickchange is easy to integrate into your existing prosthesis, and is suitable for users with an above-knee or below-knee amputation. 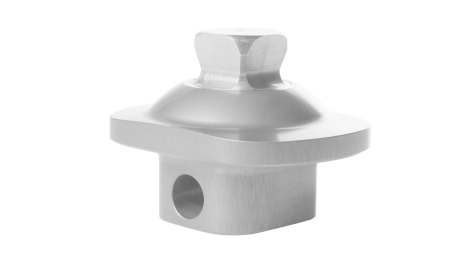 Your O&P professional takes care of the one-off attachment to your knee joint or prosthetic socket. Respond flexibly to different situations – starting today. 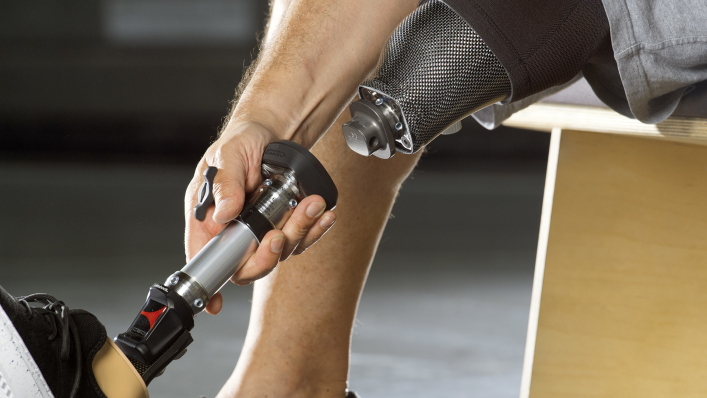 Shopping, participating in sports or a weekend trip to a swimming lake – with the Quickchange, you can easily switch between several prosthetic feet yourself. Keeping fit, getting actively involved in life, participating in sports again. Your Challenger prosthetic fitness foot with the Quickchange adapter is just waiting to start running with you. Switch feet quickly and inconspicuously, and get started right away. 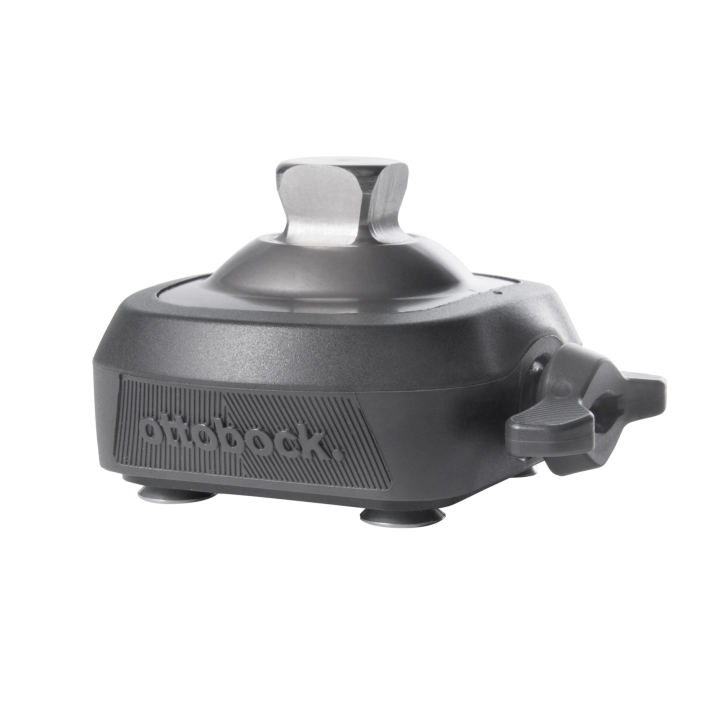 One turn, one click – change the foot – one turn, one click – start running! Different everyday and leisure occasions demand different heel heights. Thanks to the Quickchange, you can quickly switch between business footwear, trainers, work boots or walking shoes. The days when you had to devote a lot of effort to threading your prosthetic foot through your trouser leg are gone. Thanks to the Quickchange, you can get dressed effortlessly and then connect your foot again. A genuine benefit, not just for those who love shopping. Showering, swimming or working in wet conditions: your Quickchange is a perfect complement to existing fittings, such as the Genium X3 and Triton Heavy Duty. This is because the adapter is waterproof and corrosion-resistant.